Assassin's Creed Chronicles: Russia disappoints on multiple levels, from a flat main character to unintuitive insta-fail stealth levels to clumsy combat and platforming. The few times it nails it with diorama-like puzzles and Helix powers only serve to make the rest of this side-scrolling spinoff look even worse by comparison. Some clever visuals and a modern setting can't stop the third Chronicles game from being the least successful, even if it's the most ambitious. Assassin's Creed Chronicles comes to a dull end in Russia. With six challenges to do (just like India) and a New Game+ option, Assassin's Creed Chronicles: Russia has plenty to offer for a bite-sized package, but it fails to live up to the bar set by its predecessors. The loud and powerful styles of China and India simply trump the final piece of the pie, which goes out with a muted rebel yell. When an Assassin's Creed game has you swearing under your breath more than Super Meat Boy or Dark Souls, you know that something has gone terribly, terribly wrong. Where difficulty can be used to make a game more addictive or rewarding, here it manages to sap every ounce of fun out of the experience. Factor in the copious amount of idle waiting the stealth genre entails and what you have is a frustrating game that besmirches one of the industry's biggest franchises. Had 'Russia' stuck to some of the roots of the main AC series, this could have been an interesting departure from the 3D games. But making the main characters feel paper thin while stacking the deck with inconsistent stealth mechanics, fussy controls, and timed objectives starts to make 'Russia' feel like a weekend in Siberia. Russia closes the Chronicles trilogy in worst possbile way, with a frustrating, broken game. Assassin's Creed Chronicles: Russia tries its best to be cool and innovative, but in doing so the end result is a repetitive game that overly relies on stealth and a lackluster combat system. The final episode of the Chronicles trilogy emerges with a muffled pop rather than a bang, but presents a satisfying adventure for anyone who enjoyed the last two. Assassin's Creed Chronicles: Russia is the third and final installment in the Assassin's Creed 2.5D spin-off series, and it also happens to be the weakest entry yet. Whilst still being a very similar game to the first two instalments, our visit to Russia is definitely the most interesting of the three. Bringing in Ana as a second playable character makes the gameplay more interesting, allowing for sections where you switch between the two and help each other out. The overall look and feel of Assassin's Creed Chronicles: Russia is exactly the same as China and India; there isn't anything new in this game that makes it stand out from the other two, or from other games in the same genre. If you enjoyed the past two Chronicles games then you will most likely enjoy this one. Otherwise, this one won't be changing any opinions. As the best game in the Chronicles trilogy, Assassin's Creed Chronicles: Russia delivers some solid sections of stealth play set against a beautiful backdrop, but still falls flat with frustrating level design and uninspiring combat. Assassin's Creed Chronicles: Russia Marx the end of the ill-fated Chronicles series, but instead of making a final stand, Climax's latest treads water. While the visual style is pleasant and the atmosphere is strong, attempts to inject the game with innovation fall flatter than the Berlin Wall in 1990, and the title hasn't really got much to offer to fans old or new in terms of stealth or combat. There are far better Assassin's Creed games and far better platformers, so this spin-off has nowhere else to go but the gulag. While Assassin's Creed Chronicles Russia isn't quite up there with the best adventures in the series, it's still the best release in the trilogy, thanks to its moody settings, its acceptable range of gameplay and its fun storytelling. You'll definitely have more fun with this one than you would the previous two games. Might as well finish up in style, right? Assassin's Creed Chronicles: Russia continues the Chronicles series' tradition of stealth mediocrity, offering up a handful of uneventful 2D side-scrolling missions. As usual, the visuals are nice and the mechanics are solid, but assassinating people should never be this tedious. 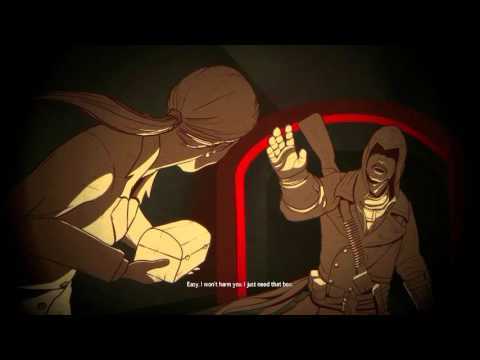 Assassin's Creed Chronicles: Russia is the best entry in this mini-series. The story is the most intriguing, and there are finally some new mechanics that add to the gameplay. The core of the game, however, is still unfortunately flawed. Enemies are hilariously stupid, chase/escape sequences require timing that is too precise for such a clunky control scheme, and checkpoints can be frustratingly sparse. While the stylized look and feel is a standout for this entry, ACCR doesn't do quite enough to its core to improve by much. If you've enjoyed your time with the Chronicles series, then let Russia serve as a nightcap: good as a finish to the evening, but too much of anything is liable to upset you. Shortcomings that haunt the entire series remain here, but more gameplay choices and a compelling narrative make Assassin's Creed Chronicles: Russia the strongest of the three Chronicles titles.